According to some, the Atkins diet and bad breath are linked after dieters have been on the Atkins program for several weeks. While this isn’t always the case, there are some individuals who get this unpleasant, but not dangerous, side effect. Fortunately there are ways to minimize this so that it isn’t a problem. Why do you sometimes get bad breath on the Atkins diet? It’s largely because of the change in eating habits and the process of ketosis that is triggered. Ketosis is when your body burns your body fat as fuel instead of carbohydrates. Ketones (a chemical) are produced as a by-product of the process, and they do have an odd odor that is released through saliva and urine. The chemical has an odor that many refer to as “sickly sweet.” If you get this, however, you can chalk it up to the diet working for you. If it becomes a problem when you start the Atkins diet, you can minimize the bad breath by drinking plenty of water (to dilute the effects of ketones) and using sugarless breath mints or gum. Brushing your teeth more often won’t affect it because it’s not related to an unclean mouth. Gargling may temporarily mask it, but the most important thing is to drink lots of water. The bad breath will also become less obvious, and often even go away, once you get past the Atkins Diet Induction Phase. This is because you are slowly adding more carbohydrates to your diet, which minimizes the production of excess ketones. There are other side effects to the Atkins diet besides bad breath that some people find troublesome. One of these is a slight feeling of dizziness, especially when standing up or moving quickly. Like most bad things about the Atkins Diet, this is temporary. It is caused by fluctuations in blood sugar in the first few days as your body adjusts to your new eating lifestyle. 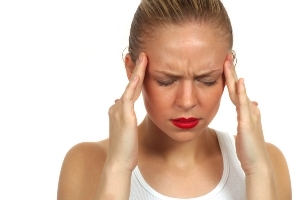 Headaches can also bother some dieters during the first three or four days. These are also linked to your adjustment to ketosis. You are, after all, weaning yourself off of the carbohydrates you have become addicted to over the years. You may also be feeling the effects of caffeine withdrawal, which triggers headaches. If you drink a lot of caffeine, consider slowly tapering off of it before you actually begin the Atkins program so that you are coping with one thing at a time. In addition to concerns related to the Atkins diet and bad breath, you may also experience constipation when you first start the diet if you aren’t careful to eat plenty of salad greens and vegetables. Because meats, proteins and cheeses are low in fiber, eating more of these sometimes leads to constipation. To avoid this potential bad effect of the Atkins Diet, simply make sure you are taking a fiber supplement and drinking lots of fluids. You can also add a probiotic nutritional supplement – these have live bacteria (the good kind) that will help stimulate your intestinal tract. As you can see, criticism about the side effects of the Atkins Diet such as bad breath can be real, but they are almost always simply temporary. If you stick with the diet and follow Dr. Atkins’ suggestions for supplementing your food with proper supplements, you will soon be feeling great – and with no unpleasant side effects at all. Just be patient and look forward to your new weight loss.